» Supplements for Athletes: What Should I Be Taking? Supplements for Athletes: What Should I Be Taking? Athletes are always looking for ways to be faster, stronger, or have more energy. Every day we are inundated with advertisements claiming to enhance sport performance with various pills, drinks, meal supplements, or cleanses. With so many supplementations available on the market it can be confusing and overwhelming as to what, if anything, people should be taking and the safety of these unregulated supplements. One disclaimer that applies to any supplementation is that you should seek the advice of your athletic nutritionist or physician before starting, to make sure you are taking the appropriate amount and that it is safe. Should I be taking vitamins or minerals? While most experts agree that people should be able to obtain the necessary vitamins and minerals by eating a well balanced diet there are some cases where adding additional vitamins to a diet can be helpful. First, vitamin and mineral supplements should never be used in place of a healthy diet. The supplementation of vitamins should be just that, a supplement, and should not be used as the main source of the vitamin or minerals. Vitamins can be helpful if, despite eating a nutrient-rich well-balanced diet, you are still unable to reach the recommended daily amount of essential nutrients. Keep in mind that the supplementation often provides more than 100 percent of the daily recommendation of a substance. It is possible to take too much of certain vitamins and minerals, so it is important to follow the recommended dosage. Some vitamins must be taken with food in order adequately absorb them so be sure to take your vitamin supplement with a meal. Eating a protein-rich diet provides the amino acids that act as the building blocks of muscles. Many athletes use protein supplementation to help enhance this process and believe this helps build muscle mass. As with vitamins, most people can obtain the recommended amount of protein by eating a balanced diet. Protein supplementation should only be used in those athletes involved in demanding and arduous training. The recommended protein intake for the average adult is 50 to 60 grams of protein a day, which is easily attainable with a well-balanced healthy diet. Those adult athletes who are in training may need to increase that intake to about 80 to 90 grams per day, which can be more difficult to obtain from dietary sources alone. In these cases adding a protein supplement after a rigorous workout may be of benefit to the athlete. What about drinking energy drinks before a workout? One common ingredient across most energy drinks is caffeine. The use of caffeine has been well studied and, if used properly, may improve athletic performance. In exercise, it is thought to improve performance by allowing athletes to increase the duration of exercise or by decreasing the perception of their exertion. What does that mean? Athletes using caffeine may not realize their muscles are fatigued, thus allowing them to continue working out for a longer duration. However, while it may allow for longer time to fatigue, caffeine is also a diuretic which means it increases urine output and can lead to dehydration. Dehydration in an athlete not only decreases performance but can be dangerous. Those athletes who are looking to improve their performance in high intensity activities for short periods of time, such as sprinting, may not benefit from the use of caffeine. Absolutely. 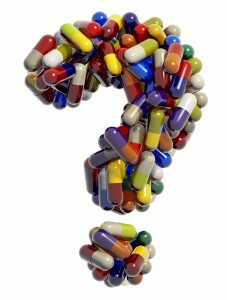 The FDA does not regulate supplements the same way they regulate prescription medications. Supplements are not tested for safety or effectiveness by the FDA and the claims on the bottle are not always verified. Additionally, what the bottle states as the ingredients and quantities of the supplement may not actually be what is in the pill you are taking. It is important to do your own research on manufacturers of various supplements to ensure you are getting what you paid for and putting into your body exactly what you think you are. Discussing the supplement you plan to take with an athletic nutritionist or your physician is helpful as well. Remember that what you put into your body is just as important as what you are doing with your body to prepare for athletic events. When looking to improve sport performance it is imperative to eat a balanced diet first, stay hydrated, avoid fad diets, be wary of claims made about supplements, and choose your supplements wisely by researching products and working with health professionals.